Anthony is CPCAB CSK Level 3 Addiction Counselling accredited and FDAP, DANOS, & CCF registered. 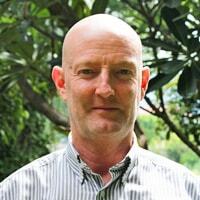 He is a qualified Yoga Therapy Diploma holder (450 hours) with the YBT, a BWY Diploma Yoga Teacher and MBCT trained. He is currently enrolled in a TRE Provider training course with The Cabin, and is IOSH Health & Safety certified. He has extensive managerial and multi-agency clinical experience working within the delivery of addiction programmes in residential rehabilitation environments in the UK. In the past, he has spent eleven years facilitating Government accredited forensic programmes, which included seven years as Treatment Manager for various 16 week, 11 week, and 6 week CBT, REBT and 12-Step substance misuse and emotional management programmes for NOMS/HMPS. Responsibilities included ensuring Audit compliance, the setting of KPT’s and ensuring the team achieve both short and long term agreed Milestone objectives, whilst also maintaining programme integrity responsive to both staff and clients individual diverse needs. His own experience of abstinence offers an additional resource. Anthony has remained continuously abstinent from all drugs since 2002, from alcohol since 1996, and the benefits of this personal choice remains an important influence in his life.